Glaucia Marques is a Research Consultant at System 1 Research. 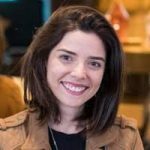 Glaucia has more than 9 years of experience in market research and project management, and supports clients worldwide to unlock meaningful insights rooted in Consumer Behavioral Science. Her global experience provides a unique perspective on how to translate cultural differences in research for brands.